The basic idea of this module is to help server population by allowing user to invite not only new people, but people you already know. It will improve the server community and social relation between players. This will help you find people for your guld, dungeon, raid, pvp buddy and all other factors in the game required team game. Както всяка година, така и тази, мисля че е време за подаръци. За тези новогодишни празници, ще раздам по 1000 злато на всеки герой, който има достигнато 80 ниво. Раздадено е сумарно злато на стойност: 8 170 000 Gold. Също така, от днес започва нашата коледна промоция. Всички начини за получаване на дарителски точки, ще бъде със 100% бонус. (х2). Промоцията ще е валидна до 5-ти януари 2018 г. Our server was successfully updated last night with the last TrinitCore changes. There are many changes on the quests, NPCs, mobs, zones, instances and spells. There are also multiple new scripts for NPCs, updated drop chance for some items. MagistersTerrace: Fix some crashes in Selin Fireheart. His script is still a shitshow, though. * TODO: Bosses rewrite, instance cleanup, add missing gossips/texts, port all gossips from db. Sniffs will be nice. Improve Event for Quest "Making Sense of It"
Stop sending "Received item" chat message for quest rewards. * Aggression - Talk and point on offer. Point when incomplete. Talk on turn in. improvements to quest Stop the Ascension! Outro event for the quest Avast Ye, Admiral! * When using the quest item for A Suitable Test Subject and the spell aura vanishes, Bloodmage Laurith should turn toward the player and whisper a line. "Get the Gnomes Drunk" & "Get the Goblins Drunk"
* Varo'then's Ghost, Highborne Apparition, Highborne Lichling, Lingering Highborne, The Evalcharr, Thunderhead Hippogryph, Thunderhead Stagwing, Thunderhead Skystormer, Thunderhead Patriarch, Thunderhead Consort, Antilos, Mistwing Rogue, Mistwing Ravager, Haldarr Trickster, Haldarr Felsworn, Warlord Krellian, General Fangferror, Lady Sesspira, Timberweb Recluse, Cliff Thunderer, Cliff Walker, Monnos the Elder, Timbermaw Pathfinder, Timbermaw Warrior, Timbermaw Totemic, Timbermaw Den Watcher, Timbermaw Shaman, Timbermaw Ursa, Gatekeeper Rageroar, Blood Elf Surveyor, Blood Elf Reclaimer, Magister Hawkhelm, Legashi Satyr, Legashi Rogue, Legashi Hellcaller, Master Feardred, Forest Ooze, Makrinni Razorclaw, Makrinni Scrabbler, Makrinni Snapclaw, Young Wavethrasher, Wavethrasher, Great Wavethrasher, Storm Bay Warrior, Storm Bay Oracle, Arkkoran Pincer, Arkkoran Oracle, Servant of Arkkoroc, Son of Arkkoroc, Scalebeard, Draconic Magelord, Draconic Mageweaver and Antilos. Random movement for some creatures in Durotar too. * Despawn and stay despawned! * Adjusted actions to match the only video of event I could find and based on sniff data from 3.3.5, 12340 build. * Chance for event to occur is drastically reduced based on Dalaran population. 1-99, the population of Dalaran is the chance. 100+ means the event is assured. Ragefire Chasm overhaul SAI/Text updates. Update SAIs for creatures in Silverpine Forest. Update Ashenvale creatures SAI scripts. Update Blackfathom Deeps creatures SAI scripts. Update Racial Leaders SAI scripts. Reginald Windsor - Reginald Windsor should not be spawned in Stormwind, as he was killed by Onyxia during the questline that was removed before WotLK's launch. Dustwallow Marsh zone creatures SAI updates. Thousand Needles zone creatures SAI updates. The Barrens zone creatures SAI updates. * Greater Plainstrider, Fleeting Plainstrider, Sunscale Lashtail, Sunscale Screecher, Sunscale Scytheclaw, Razormane Water Seeker, Razormane Thornweaver, Razormane Defender, Razormane Geomancer, Razormane Mystic, Razormane Stalker, Razormane Seer, Razormane Warfrenzym, Hagg Taurenbane, Lok Orcbane, Nak, Southsea Brigand, Southsea Cannoneer, Southsea Cutthroat, Southsea Privateer, Tazan, Baron Longshore, Theramore Marine, Theramore Preserver, Captain Fairmount, Cannoneer Smythe, Cannoneer Whessan, Witchwing Harpy, Witchwing Roguefeather, Witchwing Slayer, Witchwing Ambusher, Witchwing Windcaller, Serena Bloodfeather, Savannah Matriarch, Stormsnout, Thunderhead, Stormhide, Thunderhawk Hatchling Greater Thunderhawk, Thunderhawk Cloudscraper, Silithid Protector, Silithid Creeper, Silithid Creeper Egg, Silithid Grub, Silithid Swarmer, Silithid Swarm, Silithid Harvester, Harvester Swarm, Azzere the Skyblade, Brontus, Venture Co. Peon, Venture Co. Drudger, Tinkerer Sniggles, Venture Co. Mercenary, Supervisor Lugwizzle, Overseer Glibby, Venture Co. Enforcer, Boss Copperplug, Foreman Grills, Bristleback Thornweaver, Bristleback Geomancer, Bristleback Water Seeker, Barrens Kodo, Bael'dun Excavator, Bael'dun Foreman, Digger Flameforge, Prospector Khazgorm, Bael'dun Soldier, Bael'dun Rifleman, Bael'dun Officer, Captain Gerogg Hammertoe, Burning Blade Acolyte, Rathorian, Kolkar Bloodcharger, Kolkar Marauder, Kolkar Pack Runner, Kolkar Stormer, Rocklance, Geopriest Gukk'rok, Snort the Heckler, Swinegart Spearhide, Trigore the Lasher, Devouring Ectoplasm, Deviate Stinglash, Deviate Slayer, Deviate Creeper, Deviate Stalker, Gesharahan, Death's Head Cultist, Death's Head Necromancer and Razorfen Servitor. Feralas zone creatures SAI updates. Razorfen Kraul instance creatures SAI updates. Stonetalon Mountains zone creatures SAI updates. Hillsbrad Foothills zone creatures SAI updates. Desolace zone creatures SAI updates. Arathi Highlands zone creatures SAI updates. * Check that spawndata exists before using it. Fix a crash bug when teleporting out of map before being fully added to that map. Implemented extra flag to use offhand attacks. * Fixed initial offhand attack timer so the main and offhand attacks will now act blizzlike instead of getting executed at the same time. * Note: since some creature equipment items cannot be identified as weapon since they are only visual items there is no way to detect this automaticly. * Spell Item - Icecrown Reputation Ring Healer Trigger should proc on cast. * Fix proc with spells like Rejuvenation (checked on retail). Our wow server was successfully updated with all new TrinityCore fixes. There are multiple quests and creature fixed. Many scripted NPCs and item drop change updates. Fixes certain situations in which the quest window would get stuck after completing a quest. Add missing quest text. An Unholy Alliance. Show actual player name in reward text. Q: Grimtotem Spying. Fix The Prodigal Lich Returns is missing its end even. Fixed seasonal quest chains and ability to complete the same quests rewarded in past. * Remove seasonal quest if rewarded quest is removed. * Don't complete the whole quest on AreaExplore event, check if there are no more requirements that should be fulfilled. Add missing emotes for Tirisfal Glades quests. A Righteous Sermon - Fix bad target for script for move to the position which was using target 1 instead of 8 which was causing npc to walk through the wall and disappear on quest accept. Tormenting the softknuckles - Fix script so that if player does not successfully kill the hardknuckle matriach it does not remain hostile as an invisible mob to players doing damage to players who get in agro range. Add missing charmed flags to blight geists which is required for when they are charmed as part of it roll's downhill. The Demoniac Scryer (Update) - Changes to script so that credit is only given at end of event rather than after first wave of mobs due to timer aura been removed on evade. Wrangle some Aether Rays - Fix Aether Rays! doesn't count for completion. Cosmetic improvements to Deeprun Tram zone. Add missing Spirit Healers - All graveyards are checked. Fix Caer Darrow ghost citizen NPCs missing. Fix Hargin Mundar out of combat talk. Creatures should no longer get stuck in evade mode following a target if a spell hits the creature just as it's entering evade mode. Fix Zem Leeward, Lil Timmy, Tosamina, Verna Furlbrow, Farmer Furlbrow, Althea Ebonlocke, Lord Ello Ebonlocke, Councilman Millstipe, Hogan Ference, Defias Messenger and Madame Eva creatures AI/Text. Prevent Vile Gas (H Rotface version) from hitting non-players. Implemented manager for petitions to perform all petition related tasks and synchronize data with the database. Allow to share already completed (but not rewarded) quests, the restriction was unblizzlike. Display quest objective explore completion message. Game client should show an on-screen message for explored quest objectives (AreaExploredOrEventHappens) when the objective has been completed. Fixed order of RewardChoiceItems and reputation reward. Fix SPELL_AURA_MOD_DAMAGE_DONE damage calculation on non-mele schools. Refactor setting spell info corrections to report errors about spells that no longer exist. Change the radius of PBAoEs following the feedback. in case of immunity, check all effects to choose correct procFlags, as none has technically hit. Allows Dispersion and Barkskin to be used under death coil. Fix some spells that shouldn't allow stealth or invisibility. Allow bosses to receive KnockBack under certain conditions. Fix Piercing Shot dot clipping - Hunter. Fixed range issue with Killing Spree. Fix T10 Melee 4P Bonus - Warrior. Combustion will now properly go on cooldown when the buff is manually cancelled. * Implemented paralytic field traps on the hallway. * Implemented Ancient Gate of the Keepers opening. * Changed blizzard bunny targetting to conditions entirely. ICC: add missing cases for Dark Martyrdom difficulty entries how come nobody noticed this? Ulduar: Fix a super edge case bug where Algalon would evade if his tank successfully tanked a Cosmic Smash and got knocked up. Shadow priests everywhere rejoiced. Properly set Freya's BossState do DONE and avoid some loot exploits. Fix unit target is no longer missing for Talk, making Willix name the attacking unit when he shouts for help. Simplify speech for DK races quests. Auchindoun: Replace the Blackheart the Inciter hack-filled script with a slightly less hack-filled script that actually works. IcecrownCitadel: Prevent players from becoming inaccessible when killed by Lord Marrowgar's Impale spell (the initial damage, not the DoT). Also fix the underlying bug in vehicle logic. 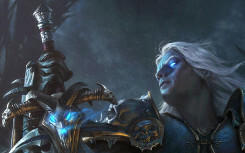 ICC: Minor Fixes for Lich King. * Fix Valkyr charge spell, they will no longer ignore Z position and become unreachable. * Correct height of Spirit Bomb and added the 3 seconds delay on his explosion. * Set the Trigger inside frostmourne room as active, to avoid problems with reseting the room, e.g: Spirit Bombs not despawning and Wicked Spirits stuck in evade. * Use correct InhabitType for Wicked and Vile Spirits, this avoid a situation where they could spawn falling. AzjolNerub: Fix some duplicate summons after JustAppeared changes. * Properly detect client timeout when logged into a character after a configurable time (default 60s) has passed without the client sending any packets. * Fixes issues with crashed clients leaving characters in the world for a very long time (default 15 minutes), as well as edge case exploits involving intentionally pausing client execution for some amount of time. * Custom feature: dynamic spawn rate scaling. Accelerates respawn rate based on players in the zone. Implement database framework for managing spawn groups based on boss state. In spite of the wrath of the Lich King, this version remains as great as the great Chinese wall. No matter how large, new, grandiose buildings appear in today's modern world, it remains the only one. EVOWOW, still does not intend to change the current version of the server, but we have made several changes recently. XP Rate has been changed or restored to the previous values. I am aware that with this change, I will refuse some more impatient players, but I am convinced that this will also reduce players who do not value the hero they will develop. The probability of increasing the population is not great, but the probability of improving the quality of the population is worth the risk. We've cleared many old accounts and characters that have not been used for quite a while. This is necessary in order to improve the performance of the server as a whole. This does not include the archived characters. Our server was upgraded with a huge amount of fixes. This also includes a new anti-cheat system that notifies GM + Admins with sms if any of the players use illegal software. So I advise you not to have such performances. I also play from time to time in the game and once I have to look for information about something (I do not remember exactly what) and it turned out that I can't find synchronized with our server Wrath of the Lich King database. Most had already migrated to the latest versions or were still Vanilla. After several unsuccessful attempts to find what I wanted, I came to the conclusion that other players were in that situation too. It is not perfect and there is several gliches, but it is a good start that helps me in the game. I hope to help other players too. There are a few things I spend time working on. Restore the weekly quests from Gurubashi's Arena. There will be a system and game maintenance on the current game version. Users does not need to change anything. Just wait untill the maintenance is done.